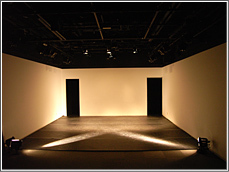 Taking full advantage of the creative quarter of Yokohama as a platform, we create omnidirectional performing arts environment! 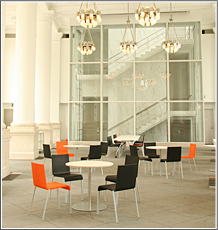 Opening in January 2011, the theater is to contribute to the creation and dissemination of performing arts in the fields of musical, theatre and dance. Internationally acclaimed director, Amon Miyamoto, was appointed the first artistic director. 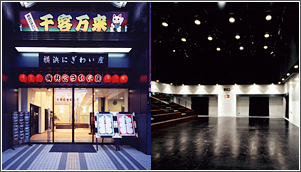 Established in 1975, the largest multi-arts center in Kanagawa; the theatre comprises a large hall, small hall and gallery featuring international music, performing arts and art events. 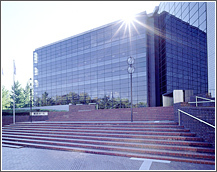 Utilizing a historical building that represents Yokohama, the center promotes the idea of community building through the arts and culture called “Creativecity Yokohama.” Arts Commission Yokohama that supports artists’ activities is based in this center. An art space that used to be a brick warehouse built in 1911. Next to it is the Warehouse Number 2 with shops and caf?s that has been attracting tourists. A three-story art space that used to be a waterfront warehouse organizing diverse projects utilizing its galleries, studios, school, caf? and pub.